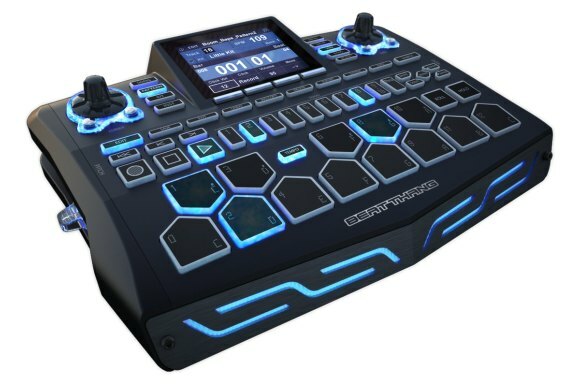 Pimp my drum machine: Hardware lovers likely won’t accept a virtual software substitute for this – even as a preorder treat. I have to say I’ve done a pretty terrible job of covering their upcoming Beat Thang, mostly because, well, I just don’t know anything about it, beyond seeing the videos everyone else had. (And yes, I’ve heard the complaints about the fact that I haven’t been covering it.) So I’ve been waiting for some news about the actual hardware shipping. Unfortunately, the shipping gear isn’t here just yet. 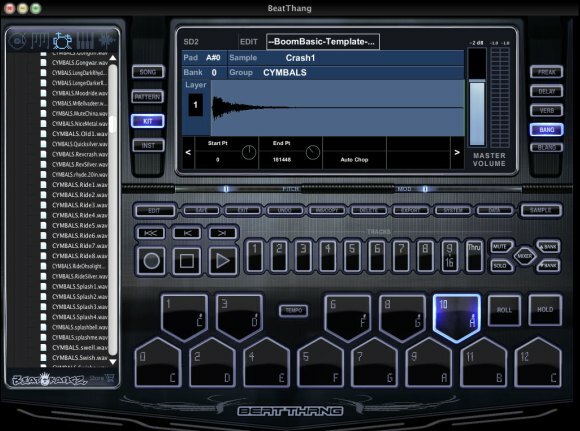 The good news is, Beat Thang hardware is now promised for October, with a pre-sales price of US$999. The bad news is, for now you’ll have to live with a “virtual” software edition. What looks like a very cool hardware interface gets translated directly to the screen – where it just doesn’t make as much sense to me. It may just make you want the hardware all the more. (Full disclosure: I’m biased. I’ve never been a fan of software that emulates hardware. Even less so when you have the actual hardware to look forward to.) It could be really useful to someone who owns the hardware – if you’re on a bus with your laptop and can’t grab your hardware BeatThang. For hardware lovers, though, it’s a bit of a tease. Still, if you’re starved for BeatKangz news, at least this gives you more of an idea of what to look forward to – and the workflow features look impressive indeed. My guess is they’ll use software sales to fund production. If you’re already committed to this concept, your US$149 spent on the software gets you a $149 off coupon on the final hardware – nice idea. I’ll say this: I’m intrigued. These guys may in fact find a sweet spot between the software drum machine capabilities out there and hardware, in a freestanding unit that doesn’t require a computer. So, while I doubt the software will satisfy impatient drum machine fans, we’ll know soon enough if the hardware is something special.